Vector Math | Cool Kid Facts . A vector has a magnitude and a direction. 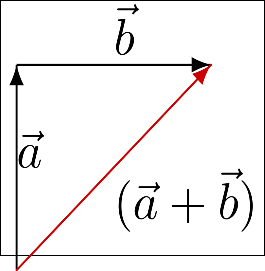 In mathematics, a vector is drawn as an arrow with a head and tail. The length of the arrow represents its magnitude. The vector lines show the direction, and the length of the arrows indicate the magnitude. A vector indicates magnitude and direction but doesn’t give any information about where a force is applied on the vector. A force can be applied anywhere on the vector and the amount of force does not change. 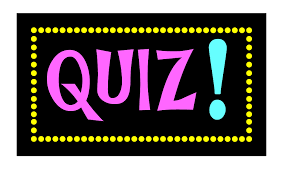 Examples of vectors are force and velocity because both of these have magnitude and direction. A vector can be placed in a new position without rotating it. It still has the same magnitude and direction and is identical to the vector in the beginning. Vectors are the same if they have the same magnitude and they have the same direction. Vectors having the same direction or the same opposite direction can be added and this is written as a + b = c. Both directions of a and b and the magnitudes of a and b are combined for the total of c.
Vectors can be added in a head-to-tail way by placing the head of one vector at the tail of the other vector. When two vectors are drawn in the head-to-tail method, you can connect the two end points that are not connected to form another vector and a triangle will be created. 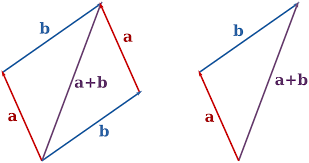 In order to determine the magnitude of the third vector, the Pythagorean Theorem comes into play. 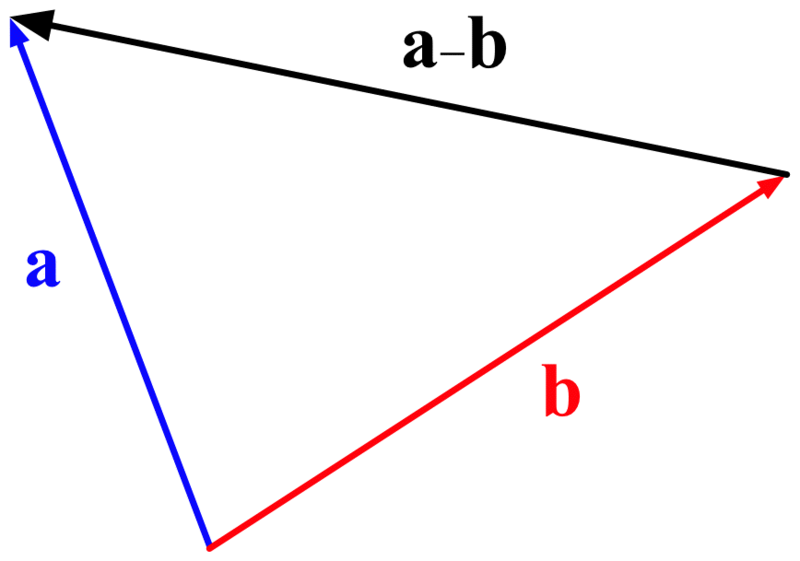 The Pythagorean Theorem is used only when the connection of vector a connects to vector b to form a right angle (90° angle). This theorem does not apply when the vectors do not form a right angle. The theorem is a 2 + b 2 = c 2 So, to find out the magnitude of c , you have to calculate the square root of c.
There are some mathematical laws that apply to vectors. When subtracting two vectors, it is the same as adding. a – b = a + ( -b ). If one vector is negative, it is drawn showing the opposite direction as the vector that is positive. How is a vector drawn? What represents the magnitude of a vector? What is the head-to-tail method of joining vectors? What is created in the head-to-tail method of joining vectors? What is the commutative law? A vector is drawn as an arrow with a head and tail. 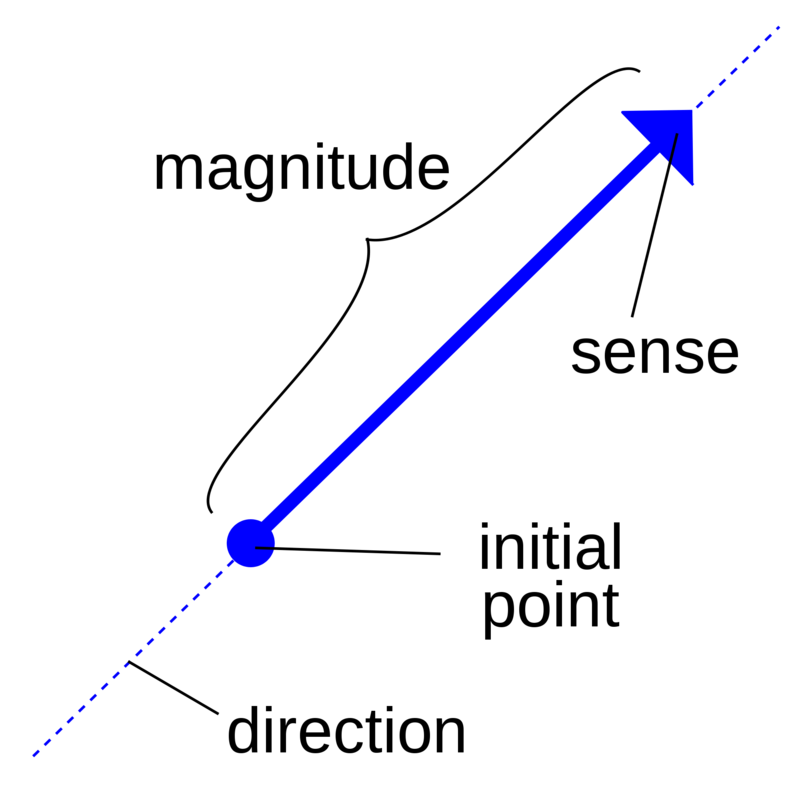 The length of the arrow represents the magnitude of a vector. Head-to-tail means that the vectors join by the head of one vector touches the tail of the other vector. The head-to-tail joining forms an angle where the two vectors join. The commutative law is that the vectors can be added in any order.